The 1968 world’s fair is the beginning of this story. The fair was built on a 92-acre site on the southeastern edge of downtown San Antonio, acquired mainly through eminent domain. Many structures in what was considered a blighted area were demolished and moved to make room for the fair, with some more important historic sites preserved. From April to October in 1968, about six million visitors came to the city but in typical fair planning once the fair was complete the city lacked a good transition plan. So they put a fence around it and the site sat unimproved for 47 years. It was a fantastic location for the fair, on the River Walk and near the convention center. In fact, the fair changed perceptions about the struggling River Walk and the city that reinvigorated its draw as a tourist destination. The fair site just east of the downtown had been a neighborhood of mixed uses – homes, churches, pharmacies, grocery stores and bars. When the city council decided in 2009 to transform the Hemisfair site into a series of urban parks embraced by a walkable neighborhood the non-profit organization, Hemisfair Park Area Redevelopment Corporation (HPARC) was born with the goal of re-establishing the urban fabric of the old neighborhood. 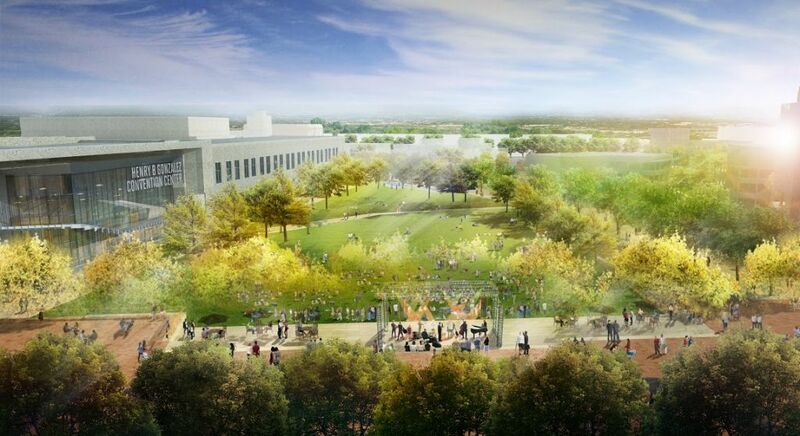 Yes – the Hemisfair project is really about parks first. The mission of HPARC is to expand the existing park and to improve its quality. “We looked at 36 parks around the country from New York to San Francisco and decided that a well-sized, well designed park with activators on its perimeter and connectivity to neighborhoods beyond will make the park successful with a built-in audience,” says Andres Andujar, CEO for HPARC. In 2012, HPARC completed the renovation of three structures on the site which now serve as offices (Eagar House), conference center (Carriage House), and support services (Eagar Dependency) for HPARC. Along with the renovations, the San Antonio City Council voted to approve HPARC’s master plan for the redevelopment of the former fair site. 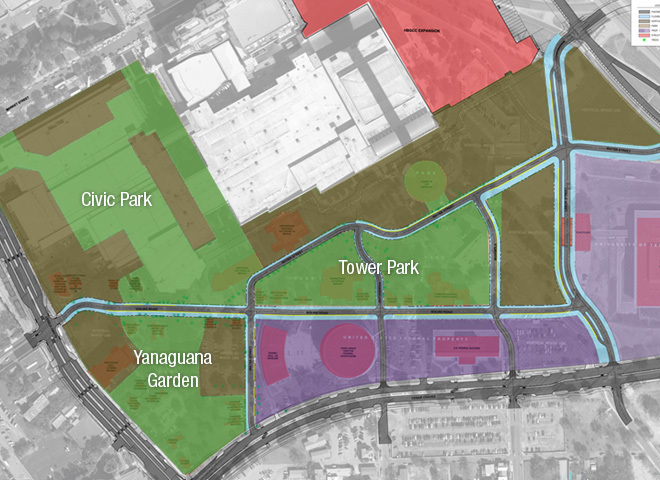 “The goal is the re-branding of Hemisfair – with 3 parks and a neighborhood that seeks to bring the density back that existed previously,” says Andujar. Plans are to develop a mix of 15 acres of residential, commercial and neighborhood amenities for 2000 residences, along with 19 acres of park, all nearby the city’s convention center. Hemisfair is a city-designated historic district with many structures in that district also listed on the National Register of Historic Places, all of which will be preserved. The key component for making the project work was the formation of the local government corporation, HPARC. HPARC is governed by an 11-member board comprised of representatives from a cross-section of local stakeholders. Board Members are approved by the San Antonio City Council to serve two or four-year terms. The public benefit corporation is not a city organization. Andujar and his team are not city employees and they don’t report to the city. But in this initial stage they are receiving funding from the city; by 2021 they expect to be independently funded. “In the partnership we are highly engaged and communicative with the city, the conservancy and our partner developers. It is necessary for our potential success. The city has the resources and equipment to make this happen. But when you are hand-building a series of parks, the city doesn’t have the capacity to manage all the details and meet the expectations of city residents. Allowing a group of people who are specialists and dedicated 24/7 to that assignment is the beauty of the separate organization. That dedication is a huge advantage to accomplishing the parks,” Andujar explains. HPARC is in constant contact with the city. Assistant City Manager Lori Houston is designated ex-officio by the city manager as Andres’ counter-part. She is a board member and is a member of their executive committee. Andres and his team meet with the Mayor’s staff monthly, city council quarterly and with city leadership every two weeks. HPARC is a team of 15 people including a project management team separate from, and in addition to, the city. HPARC staff takes the lead on design and programming for the parks. It also has the authority to solicit partnerships with the private sector for development and to determine how to manage private sector developers under a long term ground lease. None of the public land will be sold. The Hemisfair Conservancy is the third leg of the stool and was set up as an independent nonprofit organization with a separate board of directors. Andres is an “observer” on their board and Conservancy director Anne Krause is an observer on his board. Hemisfair Conservancy’s single purpose is fundraising – not park operations. That’s the job of HPARC and, initially, the Park & Recreation Department of the City. 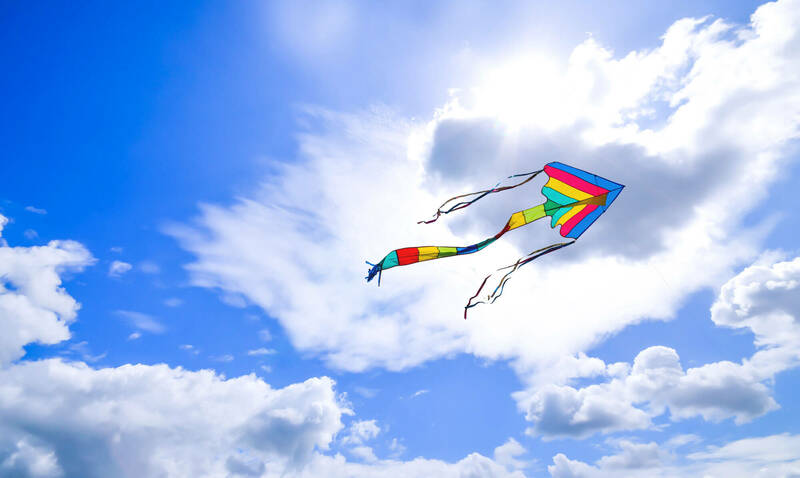 HPARC is currently funded by the city through a series of voter-approved bond measures for capital projects and the general fund for overhead expenses. But over the next 5-6 years they expect to draw their funding mostly from four revenue sources to meet their expected $6 million operating budget. Fifty percent of revenue will come from long term ground leases from developers building mixed-use projects. A tax increment zone (TIF) is being created that will yield about 30% of income stream; all the TIFs in San Antonio are currently being used for capital; this one will also be for operating costs. Thirdly, the creation of a parking benefit district will provide about 10% of the budget for Hemisfair. They are creating boundaries for a district that will include curb-side parking outside of district property line e.g. across the streets from property. Parking is the first and last impression of a park visitor and they want to control that, including offering free parking when they want, or lowering the price for certain events. The last source of revenue for the Hemisfair budget is donor recognition and the work of the conservancy. The Conservancy has put together a packet for donor recognition – naming rights – for each park. Each of the parks can be named for a gift of 70% of capital costs. Donors will also be able to name amenities. Funds raised through naming rights will be used for building the anticipated $50 million endowment. Yes, Andres says, there has been conversation about gentrification. His first response is that they are re-densifying the district. There are currently no residences within the footprint of the project. The goal of HPARC is to bring back the 2000 that were once there. There is no displacement planned – all the displacement was done in the 1960s with eminent domain. But HPARC knows the project will impact property values in surrounding areas; some older residents will be protected by state legislation that freezes property tax based on age. They have created a policy regarding the provision of work-force housing. All of their developer partners are required to provide a minimum of 10% and a maximum of 50% work force housing. “Early on the biggest issue for us was building trust,” says Andujar. “You’re not sure what it means exactly when you start – but you know you can’t succeed without it. If you don’t communicate something well, it can become very complicated. So we communicate all the time and remain transparent about all of our work; the city has the right to audit us, we are an open records organization. 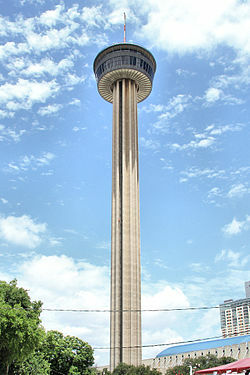 All photos from Hemisfair; first is from Wikipedia.